It was a cold, wet, miserable day and nine year old Alex was tired of doing her boring homework (she says it’s too easy for her!). Alex decided to build a robot to do all her homework for her. She builds a huge, monstrous robot and decided to call it 80R15. The robot had a few rusty pieces and a couple of small fissures, but Alex was extremely happy. Soon 80R15 was doing all of her homework and get her an A+ for all her subjects. Alex was sitting on her comfortable bed when suddenly she saw 80R15 slowing down. Then it sounded like 80R15 was sighing. Alex got up and started checking all his codes and scanning his processor. Sure enough she had accidentally given her robot feelings! Alex asked 80R15 what was wrong and his reply made Alex cry with laughter. He said “I hate doing homework and my life long dream is t..t..t..to be a ballerina”. After quite a bit of laughter Alex demanded that 80R15 continued to do her homework because that’s what she had made him to do. Alex was playing on her shiny red iPad while 80R15 performed a beautiful ballet dance. But in the corner of Alex’s eye she saw 80R15, his dance brought a tear to Alex’s eye. So Alex promised to do whatever she could to make him a famous ballerina. Alex even called the Royal Ballet School in London and asked if 80R15 could audition and Alex called 80R15 Boris. 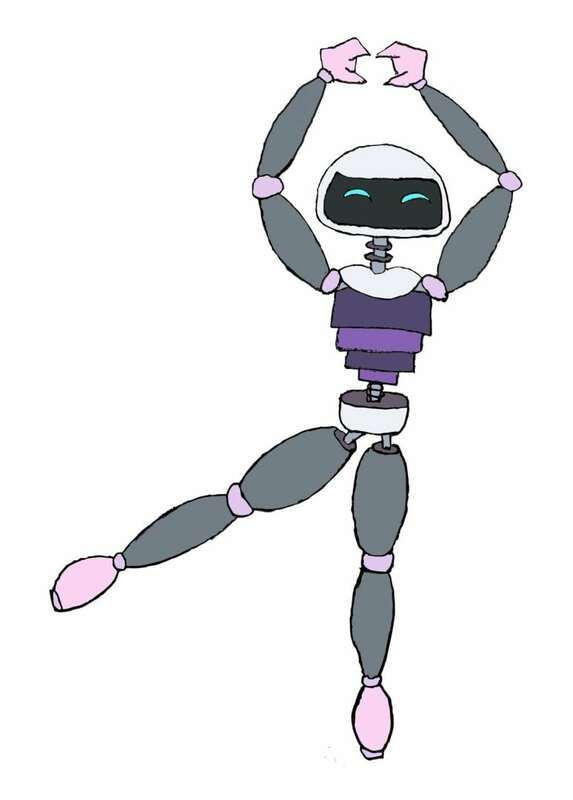 But the office just laughed and said “Robots can’t do ballet!” 80R15 was extremely upset. Alex thought for a minute and then had an idea. She said to 80R15 “Listen, I’ve had an idea” she whispered “How about if we sneak into the Royal Ballet School?” So they did, they snuck through the door behind a very posh looking family. Alex and 80R15 then snuck into a VIP only room which happened to be the room that the head of the ballet school was in. So 80R15 jumped on the stage in the room and Alex played the music on her mum’s old phone. The head was known as the harshest person in the world. But 80R15’s dance bought a tear to even her eye. So 80R15 got to be a famous ballerina and Alex had to do her own homework once again!.